The third new Eurocell branch to open this year is in the West Midlands located in Aldridge, taking the total network up to 143 and supporting the nine other branches within the region. The latest branch opening offers greater convenience to the trade installers and the DIY community within the area, who no longer have to travel so far to source materials and tools. Conveniently located on the newly built Rossway Business Park, the Aldridge branch is just off the main A461 Lichfield Road that links nearby Brownhills and Walsall and is close to associated suppliers so that customers can collect all the materials they require in one trip. “The Eurocell network means that customers can be certain of the product and the price throughout the UK – and Eurocell manufactures many of the products, so they gain all the benefits of buying direct,” explains Hayes. Eurocell is committed to expanding its branch network at the rate of 15 branches a year. It says that its customers need a close relationship with their suppliers but need the flexibility to be able to work anywhere. 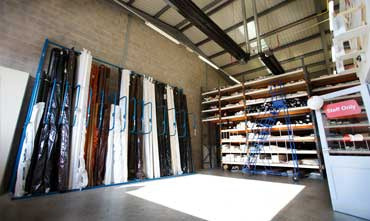 The branch network enables customers to order from their local branch but have the materials delivered from the branch nearest to where they are working. Part of the Eurocell service is to provide expert advice and so has recruited the three staff on the basis of their industry experience, which spans both installation and distribution. Area Manager Ben Fletcher, Branch Manager John Mellowship and Driver/Warehouseman Daniel Totney have also all worked locally and will be familiar faces to many customers, says Hayes. 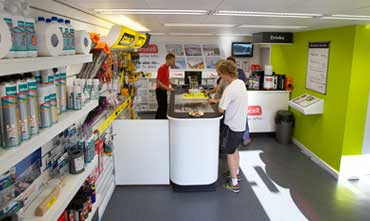 The branch features a showroom with a large trade counter area and offers products including Skypod skylights, Equinox tiled conservatory roofs, Eurocell windows, roofline, rainwater systems, window finishing trims, doors and conservatories as well as lines such as underground drainage, hand tools, power tools and protective clothing. All are available to take away, buy online or for direct delivery to site. To find our Aldridge branch, or any of our other branches nationwide, use our branch locator here.